Superdry women’s Active Studio luxe crew. This soft touch top from the Studio range is designed with comfort of movement in mind and is perfect for studio based workouts. 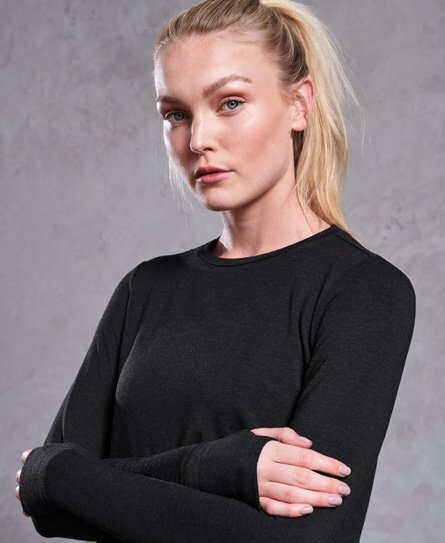 This long sleeve top features thermal properties, a crew neck and thumbholes in the sleeves. The Active Studio luxe crew is finished with split side seams and a small metal Superdry Sport logo just above the hem.